Sure, you’ve heard of the urban jungle – the convoluted confluence of concrete and steel you’d mostly likely see on a trip to Nashville. But, what’s an Urban Forest? That question was answered on Tuesday, May 10, 2016 as members of N.U.F.F. reconvened in Music City to plant the seeds on re-launching their important mission in the metro area and beyond. 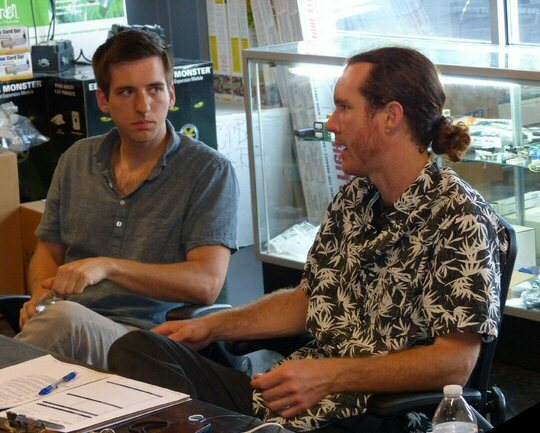 Ben Bishop and Paul Freeman plot new course for N.U.F.F. in Nashville. N.U.F.F. stands for Nashville Urban Food Forest and they are a community organization dedicated to establishing edible green spaces within metro Nashville with the purpose of serving the community’s social, environmental, and economic well-being. They accomplish this goal through large-scale volunteer events called Dig-Ins. The organization has successfully tested and implemented their concept in recent years on four privately owned lots in town in regions they call Nashville’s food deserts. That is, in areas where you wouldn’t necessarily think food and produce would normally grow. 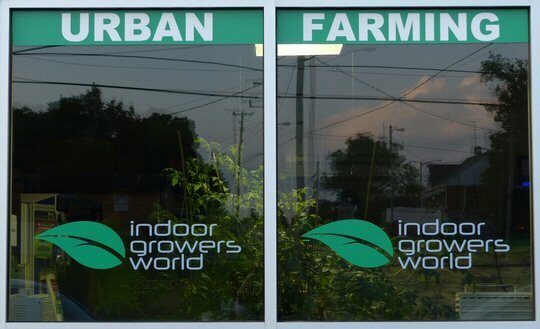 Around a dozen activists gathered at Nashville’s Indoor Growers World on E. Trinity Lane to hear a presentation led by group leaders Paul Freeman and Ben Bishop. Together the two described their plans to revive this now dormant movement to help provide healthy fruits, nuts and vegetables to the hungry and underprivileged in the region. The purpose of the N.U.F.F. program is to design and install edible forest gardens in the city of Nashville. They are now seeking larger organizations such as churches with surplus plantable acreage and willing participants to carry the mantle for the development of food forests. Their program is sustainable and offers the opportunity for local residents to learn real-world agricultural skills while performing a valuable service in the community. The meeting was called to renew the concept of creating edible landscapes on vacant lots and in public spaces throughout Mid-Tennessee. The group gathered to consider ideas on where to implement their next installation and to set new goals for their organization. Freeman suggested that concrete grow domes could be used on sites to increase the yield and productivity in Nashville’s shrinking supply of open space. Bishop expressed his hope that this latest incarnation of N.U.F.F. would focus on advocacy while growing ample amounts of food for the area’s homeless population. The roots for urban forests took hold at the Indoor Growers World in Nashville.